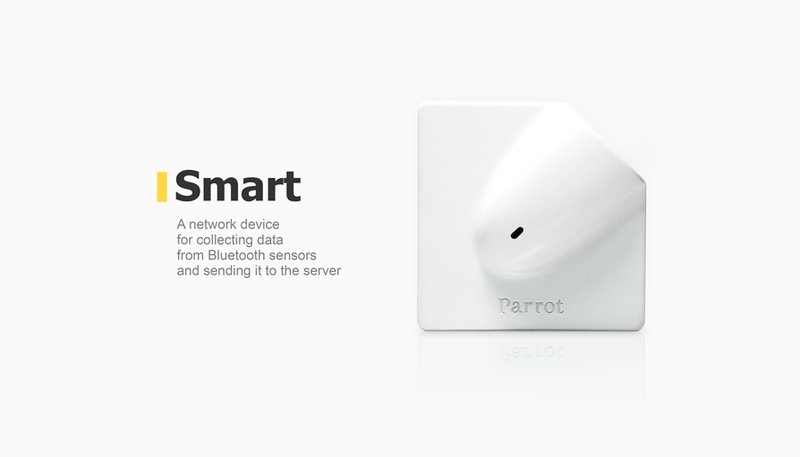 Our company was commissioned by Parrot (Paris) to develop a compact device for collecting data from Bluetooth sensors and transmitting them to the server. 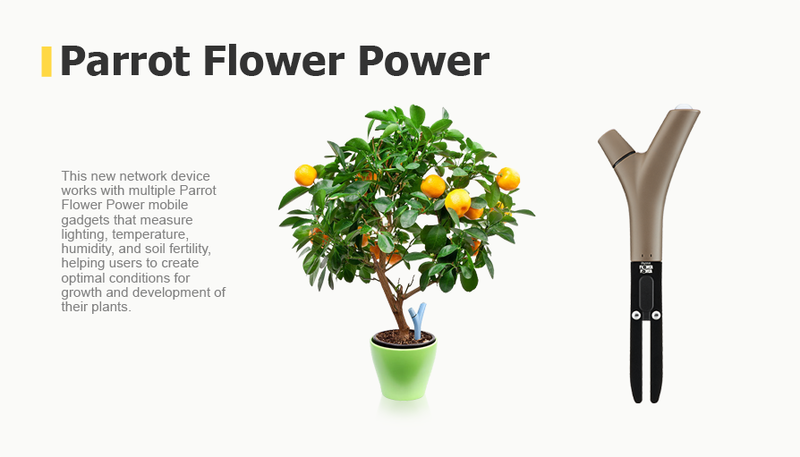 This new network device works with multiple Parrot Flower Power mobile gadgets that measure lighting, temperature, humidity, and soil fertility, helping users to create optimal conditions for growth and development of their plants. 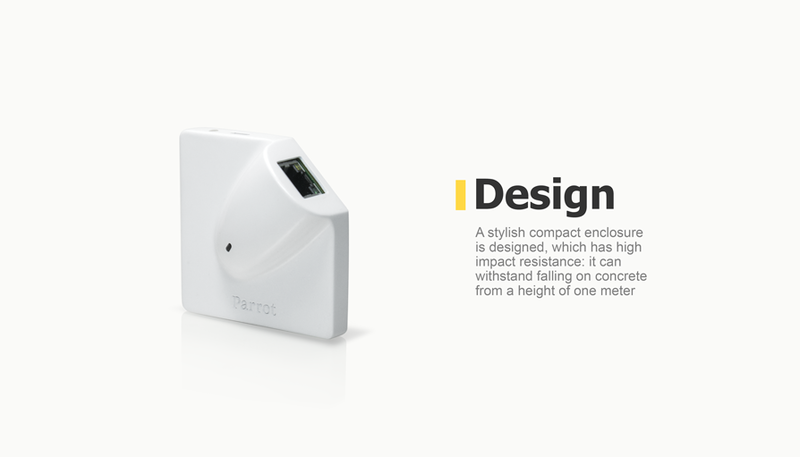 The hardware platform of the device is based on the TI Sitara Cortex-A8 microcontroller and the Wi-Fi / Bluetooth 4.0 module. Software: Linux kernel, u-Boot, Qt and Bluez. 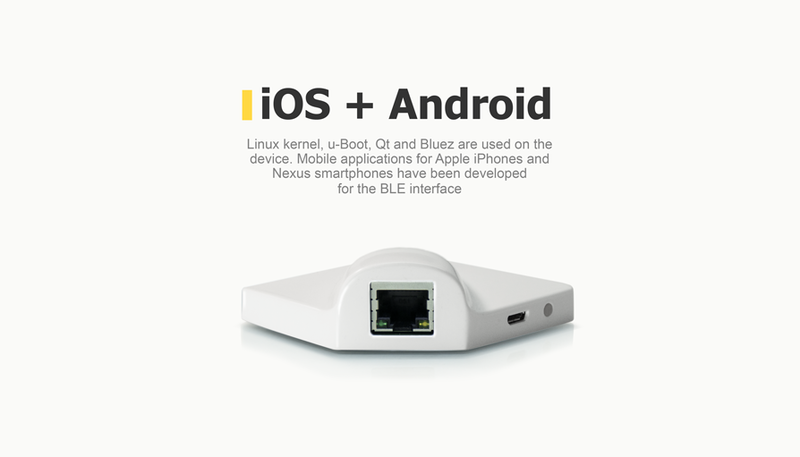 Mobile applications for Apple iPhone (iOS) and Nexus (Android) smartphones have been developed to test the use of a BLE interface. The enclosure designed features a stylish modern design, small size and high durability (it can withstand falling on concrete from a height of one meter). The device has successfully passed pre-certification testing for impact resistance, air condition (0 ... + 40 ° C), safety in compliance with ETSI EN60950 2001, as well as radiated and conducted interference in compliance with EN 550022. 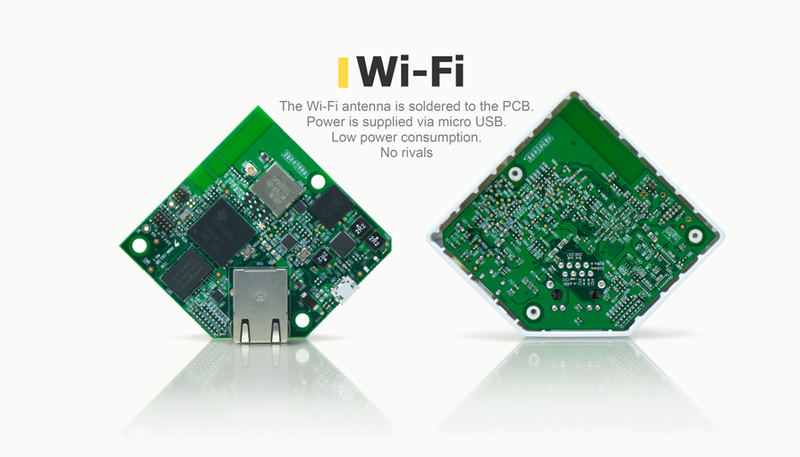 The main hardware components: Wi-Fi / Bluetooth 4.0 module; TI Sitara Cortex-A8 microcontroller; DDR3 128 MB; NAND Flash 128 MB.